A core consideration of any curriculum development undertaking must include an examination of how it is that learning and knowing are conceptualised. 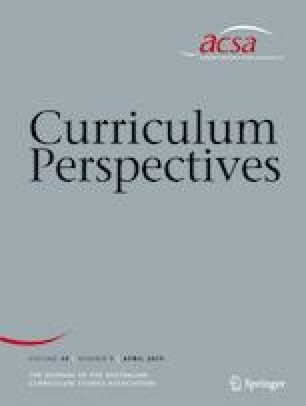 In this paper I interrogate the conceptual bases of the Australian Curriculum, specifically by discussing how learners and their life worlds, the enterprise of learning itself, knowledge and knowing and the curriculum as a whole are conceptualised. I conclude with a reflection on the consequences to reform when such a consideration is absent. Okon-Singer, H., Hendler, T., Pessoa, L., & Shackman, A. J. (2015). The neurobiology of emotion–cognition interactions: Fundamental questions and strategies for future research. Frontiers in Human Neuroscience, 9, art 58. https://doi.org/10.3389/fnhum.2015.00058.